Got a lot of catching up to do. 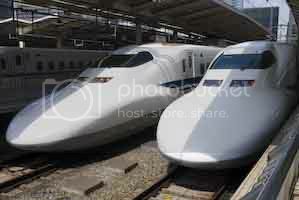 We left Kyoto by Shinkansen and spent one day on the Izu Peninsula before heading into Tokyo. 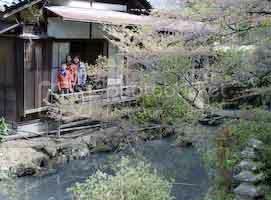 The Izu Peninsula isn't far from Tokyo and is reknown for it's hot spa's. Plenty of things to do if you can spend the time there. The hope was to get a view of Mt Fuji but the weather simply didn't co-operate. Lots of rain and no views. We stayed at the Nanzanou in a small town called Izu Nagaoka. We had an absolutely fabulous room. It was the sakura suite. 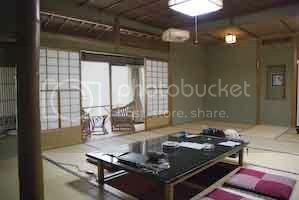 It was about thirty tatami mats in size and had a view over a private water pool. A cherry tree spread over the pool but unfortunately, most of the cherry blossoms were gone. We enjoyed just hanging around in our suite and didn't do much else. We took three trains from Tokyo to get as close as possible to Fuji, but the result was exactly the same as yours. "See that green building? ", a hotel employee said to us. "Well, Fuji-san is right behind it." Dutifully, I took a picture of the green building.